Allison joined our team in May 2016. 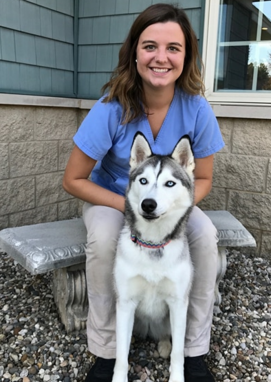 Her favorite thing about working at Milwood Animal Clinic is the variety of pets we see, it is always an interesting day! She has two dogs, a husky named Ivy and a lab mix named Piper. In her free time she enjoys camping, hiking, going to the beach and playing volleyball.